First, find out how many people will be in the group because it will help you to determine the size of the bus that is suitable for you. There are party buses that can take smaller groups of 14 people or less. Others can accommodate up to 40 people. 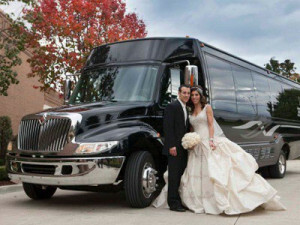 If the bride along with the groom will also be using the party bus then make sure they will be able to sit comfortably. The bride’s dress can have a long train that takes up loads of space. Consider this when choosing the size of the party bus Toronto. Convey your plans to the party bus rental company beforehand. For instance, let the driver know whether you will be picked at a central place or members of the bridal party will choose their pick up points. Taking care of these logistics beforehand will help to prevent misunderstandings along the way. Remember that weddings can be very busy and overwhelming so make sure you cover all aspects of transportation. The cost of the party bus will depend on its size together with the features that come along with it. You will also consider other factors such as the duration that you will be using the party bus. When deciding on a wedding party bus Toronto, consider a size that will be affordable for the entire group. If one large party bus is too costly, you may want to take smaller wedding party buses instead of carrying everyone in a single bus. Compare the rates offered by different party bus rentals before making a decision. Wedding party buses can come complete with air conditioning, comfortable seating, TV and DVD players and dance floors. Whatever features you choose, remember they contribute to everyone having a good time on your way to your destination. Consider features that will make bridesmaids and other guests who will be using the party bus comfortable. If you will have children in the bridal party, make sure the limo is able to accommodate their needs too. Wedding party buses are a great idea even if you are planning your event on a budget. You will give people an opportunity to enjoy being taken to the wedding venue in comfort and style. The limo can be designed to blend perfectly with the rest of your wedding. Discuss with the party bus rental company regarding the options you have when it comes to weddings. They are likely to recommend a few extras that work best for weddings.